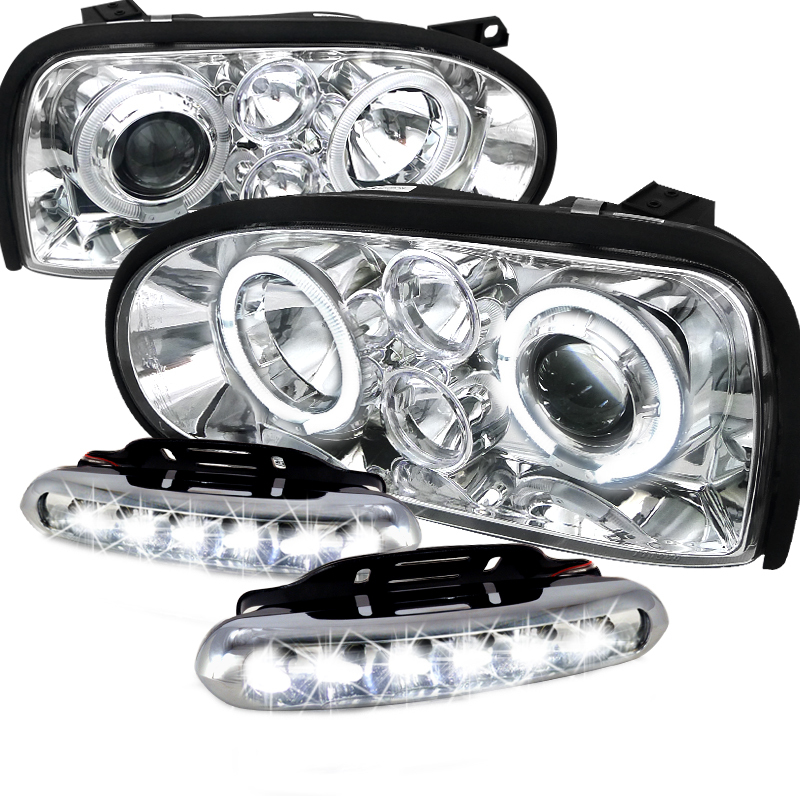 Brand New COMBO: 93-98 Volkswagen Golf Dual Halo Projector Headlights + LED Daytime Running Fog Lights! Projector headlights provide an intensely concentrated light beam with an innovative design that gives your car a unique look. For only a fraction of the cost of OEM Headlights, you can replace your old faded or damaged headlights with eye catching projector headlights. Not only do the new lights refresh the look of your car they are also brighter, making driving in the night and unlit streets a lot safer. The Headlights are securely mounted using the original screws & nuts of the OEM parts. If you are unsure about installing automotive accessories by yourself we recommend consulting a body shop. Universal ultra bright white slim LED day time driving light make your vehicle more noticeable and safer during day time. Ultrabright white LED in total is adopted, and the power saving has been achieved. All wiring and installation hardware is included with this kit. 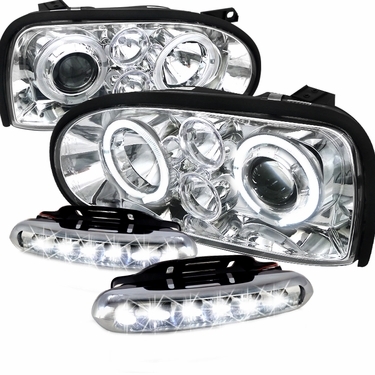 This is a universal day time driving light kit that will fit your truck, suv, sedan, or sport compact car.